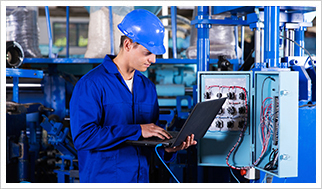 Electrical engineering plays an important role in the precision manufacturing industry, most notably in the production of equipment and devices for industrial or commercial use. Early examples of instrumentation that incorporated principles of electrical engineering included telephone relay systems and the telegraph; in the modern era, these principles are being applied in such technological advances as robotic assembly machines and drones. While the applications of electrical engineering today can be quite extensive/far-reaching in terms of the size, scope, or intended purpose of any equipment/devices, one factor remains consistent – that users/operators expect and demand reliable and repeatable performance. And since a majority of today’s industrial and commercial equipment relies on some degree of computerization for its functionality, this performance is dependent on more than just the physical installation of all wiring, cabling, circuits, and/or panels, etc. ; it entails the precise programming of a digital computer to control the movements of any specific parts or those of the machine/device itself. Therefore, as an adjunct to our electrical engineering services, Noble Precision offers the capability of software design to program/control the movement, as per client specifications, of any/all parts or equipment that we have also be contracted to construct on their behalf. There are many factors that must be taken into consideration within the process of software design. In the precision manufacturing of industrial or commercial equipment, these factors must be held to strict specifications in order to ensure reliable and repeatable movement by the equipment/devices or their individual parts/components. Based on our intimate knowledge of the operating/performance expectations of the devices and equipment that we manufacture for our clients, acquired through our immersion in the design, engineering/production, and testing phases, Noble Precision would be in the ideal position to develop any and all respective software programs. To further discuss the integration of software design services with our electrical engineering capabilities, call Noble Precision today at 416-938-6455 or contact us to schedule a consultation at your convenience.